After he moved to London in his early 20s, Luke Howard became obsessed with the weather. Howard had a day job running a pharmacy business in the 1790s and early 1800s, but he spent a lot of his spare time staring at the sky. He collected a set of makeshift weather instruments—glass thermometers; a hygrometer (to measure moisture in the air) cobbled together from a wire spring and a strip of whalebone; and a barometer attached to an old astronomical clock that he bought secondhand and repaired himself. He and his business partner, William Allen, started a science club of a dozen or so members, all men, who met in each other’s houses to give talks about a range of subjects like chemistry, astronomy, and mineralogy. When he was 30, Howard presented to the group three names he had come up with for different types of clouds—cirrus (from the Latin for “curl of hair”), cumulus (referring to a pile), and stratus (a “horizontal sheet”). The talk was a hit, and he published a version of the lecture a year later in a science magazine. And the names stuck: Howard’s cloud categories are still used by professional meteorologists. This was science in the late 18th and early 19th centuries—a buzzing world of nerds and amateurs trying to document the workings of the world in their spare time. It was less an institution than a labor of love, like sculpture or poetry. London was a kind of hub, full of scientific societies and clubs—they were like the maker faires, the do-it-yourself collectives, the hack-a-thons of the Enlightenment. In the United States, there was a flurry of interest in collecting plant and animal specimens and documenting the natural history of North America. The barriers of the time kept certain people out of science. (There were few scientists of color, although women managed to push their way into influential scientific circles in Europe and America, and Black inventors made important technological contributions in the United States.) Still, the technology for making scientific observations was cheap, much was unknown, and nearly anyone with the means available could make a major contribution. Then, somewhere between the late 19th and mid-20th centuries, science took a turn. As it became more powerful, sophisticated, complicated, and better funded, it disappeared behind the walls of ivory towers and corporate labs. Since the 1970s, support for science has become a partisan issue in the United States, as conservatives’ faith in science keeps declining. Fifty-eight percent of Europeans say they can’t trust scientists because they are too influenced by corporate money. Science culture is now elitist, say its detractors. 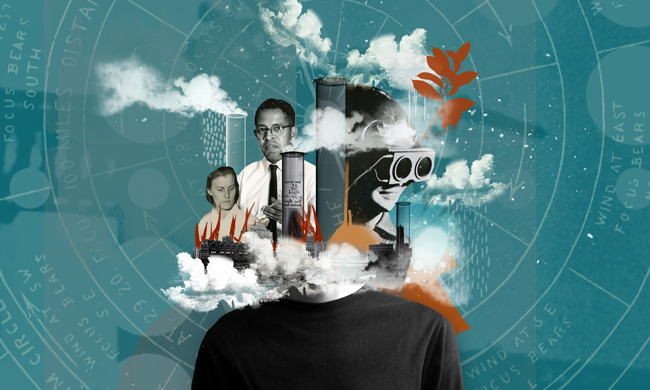 Have we forgotten what science is actually for? During the U.S. election campaign, some politicians and talking heads spoke as if science were not a means of gathering knowledge but some kind of cabal. Then-presidential candidate Donald Trump met with leaders of a discredited anti-vaccination group and infamously called global warming a hoax “created by and for the Chinese in order to make U.S. manufacturing non-competitive.” Matt Drudge, editor of the far-right Drudge Report, on Twitter accused the National Hurricane Center of exaggerating Hurricane Matthew’s intensity, even as it killed more than 1,000 people in Haiti. U.S. Rep. Lamar Smith from Texas used the House Committee on Science, Space, and Technology to hurl unfounded accusations at the researchers of the National Oceanic and Atmospheric Administration, accusing them of altering data. If federal politicians wage war on scientific institutions, can the public take ownership of science again? There are signs that the internet and global technology are reviving the role of citizens in documenting how the world around us is changing. Not to undermine the knowledge of experts. Not to engage in some elitist project or define some new kind of geekdom. But to build collective insight—millions of little observations about the now-warming climate, the now-shrinking numbers of species of animals and plants, the chemistry of air and oceans and minerals—that might just help us survive and adapt to the next century. Though many of the tools we associate with modern science emerged during the Enlightenment, science itself is arguably as old as human existence. Take, for example, the fields of meteorology and climatology. Indigenous people have kept oral histories spanning thousands of years of past climates. Written a few thousand years ago in India, the Upanishads discussed the process of cloud formation. In 1500 B.C., the Chinese engraved weather data on bones. Aristotle wrote a book called Meteorology in 350 B.C. that described the hydrologic cycle. But meteorology and climatology emerged as serious scientific professions more than a century after Howard named the clouds, especially after these fields received government funding during World War II. In the United States, the National Weather Service has relied on citizen observers to track weather since the mid-19th century. But once the study of the weather became institutionalized, meteorologists, climatologists, and atmospheric scientists developed their own subcultures, their own publications and meetings, and a kind of separate language, defined by jargon and technical concepts. In the mid-20th century, scientists like Rachel Carson and Aldo Leopold popularized the findings of the emerging field of ecology. Public concern about the environment spurred the passage of America’s most important environmental laws and the establishment of the Environmental Protection Agency, which functions as both a watchdog and a scientific agency monitoring the water and the air for chemicals that harm public health and ecosystems. The National Park Service turned to ecosystem science to redefine its work as the nation’s lead conservation agency. NASA took on the role of atmospheric monitoring, and meteorological research surged forward. Satellites floated overhead to capture images of land and cloud and ocean; supercomputers spun three-dimensional models of weather moving across the entire globe. Then, in the 1960s and 1970s, some climate scientists began to suspect that fossil fuel burning could alter the Earth’s climate in frightening and irrevocable ways. By the late 1980s, when Dr. James Hansen testified before Congress about the dangers of climate change, the evidence was undeniable—at least to the scientists. But fossil fuel industry leaders, afraid of regulations clamping down on their activities and unwilling to chance any dent in their profits, set up their own alleged experts to sow confusion. Over nearly three decades, industry front groups like the Marshall Institute, the Heartland Institute, and the Institute for Energy Research have paid miscellaneous ideologues and hacks to pose as experts and use media coverage to discredit the work of reputable scientists. Recent investigations reveal that oil companies like Exxon gathered decades worth of evidence confirming that climate change was real, even as they publicly cast doubt. Understandably, the spread of misinformation has bewildered some members of the public: Most people haven’t had access to the inner workings of climate science and couldn’t easily say whom to trust, who was the expert, or what they should do. Meanwhile, the global temperature has ticked inexorably upward—churning out more severe storms, more intense wildfires, and putting global agriculture and water supplies ever more at risk. Controversy has delayed or obstructed public discussions about how to change the ways we generate energy, grow food, build cities and roads, avert crisis, and adapt to change. Now nearly every looming crisis our society faces is at least partly a scientific one. The colossal emergency of climate change, the problem of feeding the couple billion additional people who might populate this planet in the next couple of decades, the collapse of ocean ecosystems, the rise of the next epidemic disease. Problems as large as this will require ingenuity, labor, and support beyond just the professional scientific community. They’ll require scientists to step out of the laboratory more often and the rest of us to get involved. Venetie sits just south of the Arctic National Wildlife Refuge near the Brooks Range. On an afternoon in early November, the children gathered around a cluster of wild roses a short walk from their school. Under the guidance of Spellman and their teacher, Terri Mynatt, they attached metal tags to the bushes and named five of them—kid names like “Princess Batman” and “Junior Heart.” Then they wrote down the number of rose hips still clinging to the ends of the branches, the first notes in what would become an ongoing data log for each plant. In the past few years, spring has arrived unusually early here, winter too late. Wild roses, whose hips make jam and jelly for humans (naturally fortified with vitamin C) and winter forage for animals, might bloom sooner or later or more often. As the seasons went off-kilter, would wild foods such as rose hips and berries become harder to find? Both the children and scientists wanted to find an answer. Then Spellman pulled out a smartphone, and together they gazed up at the clouds. How much of the sky was covered with clouds, and what shape were they? The kids took turns snapping a series of photographs of the overcast sky with an app called GLOBE Observer. The phone automatically stamped geolocation and time and date information on the photograph. A class of schoolchildren in remote Alaska had just joined a global research project—the data they recorded would help NASA scientists better interpret their satellite images and climate models. In Fairbanks, Spellman and her colleagues would use the class’s data on roses as part of a larger project to study what warmer weather might mean for Alaskan ecosystems. In Venetie, the information would allow the villagers to keep track of their own food supply. NASA’s GLOBE program, a citizen science project, has existed for more than 20 years, but it has taken off since the agency launched the app in August. About 15,000 people have used it to snap more than 55,000 photos of cloud and sky. Clouds are especially difficult to model, and satellites can spot only their tops but not their underbellies. For that, NASA needs people on the ground, around the world, snapping pictures and making notes. It’s part of a kind of citizen science renaissance, driven partly by affordable computer technology: The smartphone puts cameras and a GPS into the palms of millions of people, and the internet makes crowdsourcing simple. This lets scientists draft huge numbers of volunteers to assist in documenting how the world is transforming. “What can be really exciting about citizen science is the ability to get many, many people working together on the same problem,” says Scott Loarie, a co-director of a project called iNaturalist, which launched in 2008 and is now run by the California Academy of Sciences. “We’re able to tackle science problems that are too big for any individual person.” About 93 percent of all monarch butterfly data and three-fourths of U.S. dragonfly sightings during this decade have come from iNaturalist, which lets people around the world use smartphones to chronicle their sightings of plants and animals. Every day, they gather about 5,000 new photos of flowers and trees, amphibians and colorful insects, and other organisms. An iNaturalist volunteer in Colombia discovered a previously unknown species of dart frog, simply snapping a photo and uploading it to the web. Crowdsourced projects like these are proliferating throughout the scientific world like mushrooms. This past fall, researchers at the University of Arizona launched an app called Kidenga to crowdsource observations about mosquito populations and outbreaks of the mosquito-borne diseases Zika, dengue, and chikungunya. Old Weather—a partnership among U.S. and British science agencies, the National Archives, and university researchers—has enlisted 30,000 volunteers to study the scanned pages of 19th- and early 20th-century ships’ logs for weather observations made during Arctic whaling voyages: These help sharpen the calculations of Arctic and global climate models. An organization called iSeeChange, founded by both scientists and journalists, created an app in collaboration with NASA that lets people document phenomena like the timing of first snowfall, early springs, the migration of birds, and the browning of trees in drought. This summer, working with a group called AdaptNY and the radio station WNYC, iSeeChange handed out 30 temperature sensors in New York City’s Harlem and northern Manhattan neighborhoods to monitor the hyper-local effects of heat waves on public health. The explosion of citizen science comes just as scientific institutions face losses that could endanger us all. The federal government supports about one-third of all research and development, and even the biggest philanthropists in the country wouldn’t be able to fill the gap if much of that money were gone. A senior Trump adviser has talked about cutting funding for NASA programs that document the Earth’s climate because they are, in his words, “politically correct” (as if ice and clouds had a political affiliation). President Trump also has criticized the National Institutes of Health, and scientists fear that some programs there and at the Centers for Disease Control and Prevention could be on the chopping block. “It’s an interesting circle that we’ve come to,” says Spellman. “We’ve worked so hard to professionalize science, but then scientists became the elite and isolated. Now [science] is returning the power back to the public.” Never has that power been so important. Ready to find your inner scientist? Madeline Ostrander wrote this article for Why Science Can’t Be Silent, the Spring 2017 issue of YES! Magazine. Madeline is a freelance science writer based in Seattle. Follow her on Twitter @madelinevo. The ivory tower ideology of the science is hard to penetrate or dissolve. Scientist aren’t at fault, they are the victim of the civilized system and now are constrained by capitalism. The socioeconomic system must be based on scientific principles if we are to survive. Science must be a central part of our way of life as it is for thermodynamics.